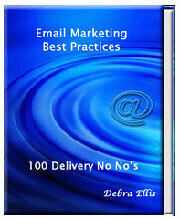 When email marketing was in its infancy, it provided instant gratification to marketers. Shortly after you pushed the send button, orders started appearing in shopping carts. It was too cool. The cost was significantly less than mailing a catalog or postcard and the response was much higher. Things have changed. Sending emails designed to entice the most discerning consumers doesn’t guarantee a marketing bonanza. The abuse of this economical marketing tool has created a backlash from consumers tired of inboxes full of unwanted messages. Internet service providers and email servers have become the chosen gatekeepers. 1. They didn’t receive it. Spaminators are continuously watching for triggers that identify your email as spam. Ironically, the phrases that increase your response rate like “100% Money Back Guarantee” or “Free Shipping” reduce your deliverability. Avoid spam triggers when possible to insure that your email actually arrives in the inbox. 2. Your subject didn’t interest them at the time. Target marketing is the right message to the right person at the right time via the right medium. If all of the other factors are correct but your timing is off, your recipients will not buy. Review your historical email response data to see if you have a long tail. Poor timing may cause it. Test resending the same email at different times to non-responders to see if it affects the response rate. 3. They got lost in cyberspace. Insure that the landing page for every link in the email is the correct one. If you offer a particular product or service and send your customers to your homepage instead, a high percentage will bounce. Make the journey from their inbox to your shopping cart as direct as possible. You don’t want them making wrong turns along the way. 4. The value was missing in action. People buy products or services for their benefits. While price is always a consideration, it is not the driving force. (Would you buy the jeans that are 20% off or the ones that make you look skinny?) Failure to communicate the value to your recipients in their language reduces response. Tap into the emotional purchase stream and watch your sales soar. 5. Email fatigue has set in. Sale emails are simple to create and generate a predictable response. Many marketers create a template and update it several times a week to drive revenue. Unfortunately, their recipients get tired of repetitive content and too frequent delivery. To see if your customers and prospects are suffering from email fatigue, review the history for several segments. (Make sure the same people are in the segments.) If the response is trending down, you’re in trouble. 6. Their last order had challenging issues. There is a difference between issues and challenging issues. 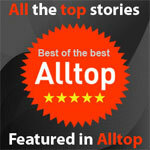 Issues are quickly resolved to the customer’s satisfaction. Challenging issues require an investment of the customer’s time to reach a resolution that may or may not be satisfactory. The faster any problem is resolved, the more likely the customer will buy again. Work with your fulfillment team to insure quality service. 7. They don’t remember you. Your prospects and customers are busy people. If you don’t respond quickly to their new subscription or send emails on a regular basis, they forget you. Consistent marketing with relevant (and entertaining) messages keeps your brand fresh in their mind. Create and follow an engaging marketing strategy. 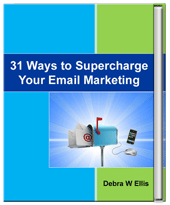 For more information on how to improve your email marketing, follow the tips in 31 Ways to Supercharge Your Email Marketing. Next post: Is Social Media Limiting Your Income? Another great post. 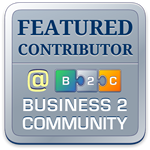 This is important if you have a email list. It’s about building value, trust, content, credibilty and a true relationship with your list, don’t sell, sell, sell, treat them as if your writing to your mom.